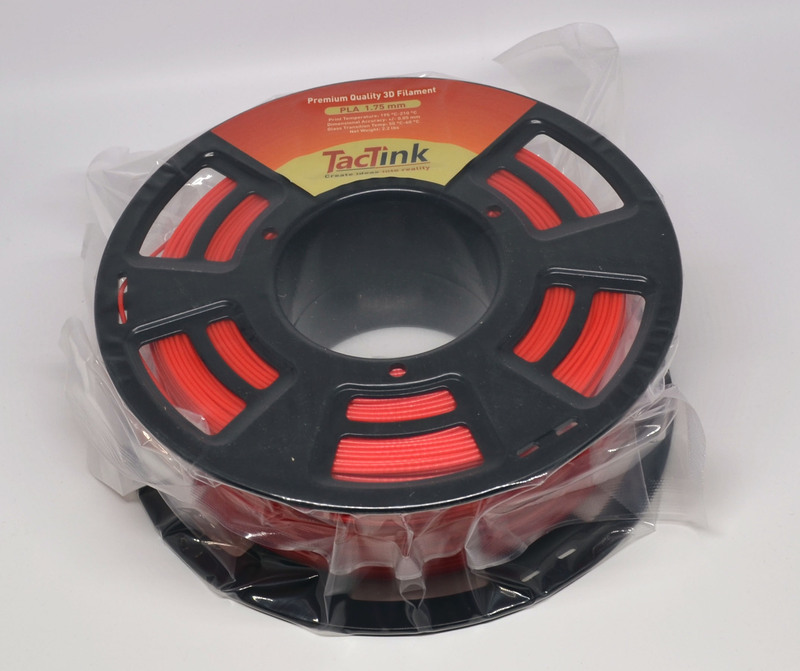 In my ongoing quest for tracking down excellent PLA 3D printer filament, I’ve come across the Tactink Red PLA 1.75mm 3D Printer Filament. It’s a large, 1KG/2.2 lbs. roll. 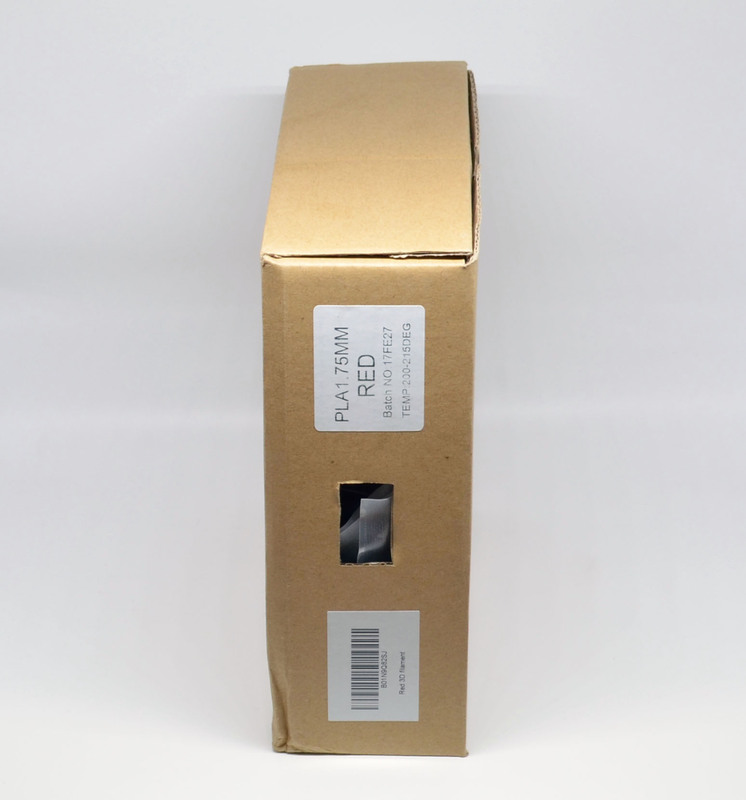 As you might expect, the Tactink comes professionally packaged in a shrinkwrapped casing complete with dry pack (desiccant) inside a cardboard box. 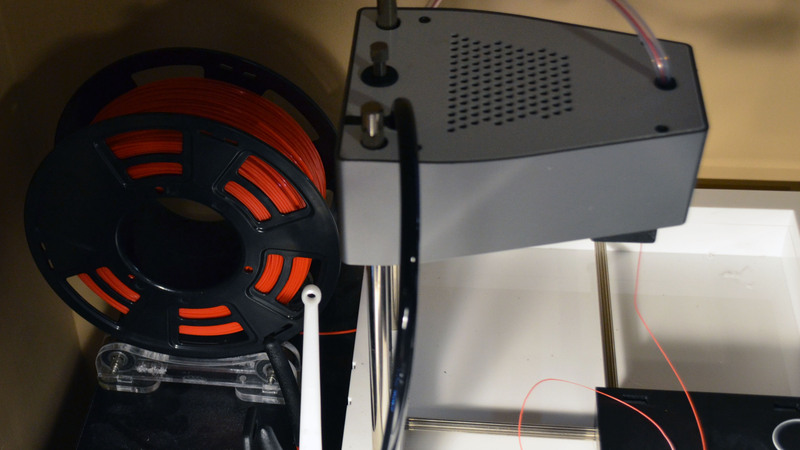 Per usual for a full-sized spool, I’m relying on an external spool holder from Creker, which makes handling these larger rolls much easier for my modest New Matter MOD-t 3D printer. 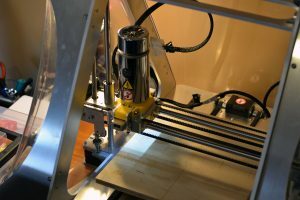 Using my digital calipers, I noted that the filament’s dimensional accuracy was to spec. 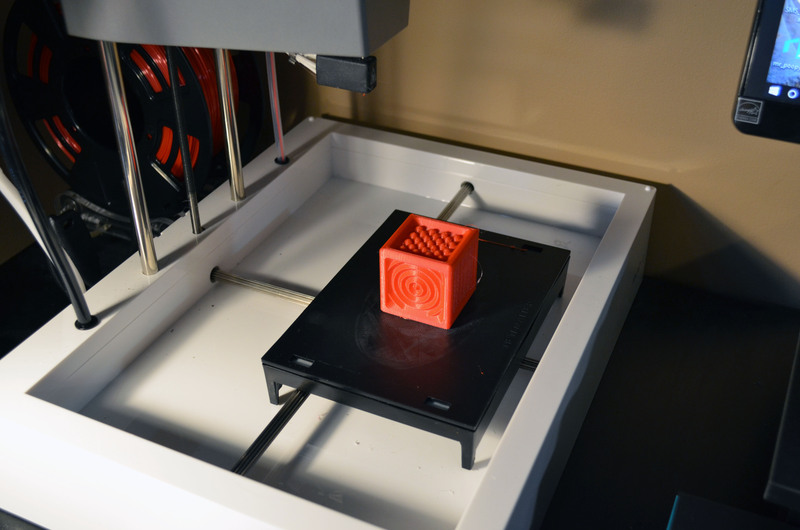 My printer was able to handle the material without issue, and the final object print quality proved excellent, with a nice strong structure. 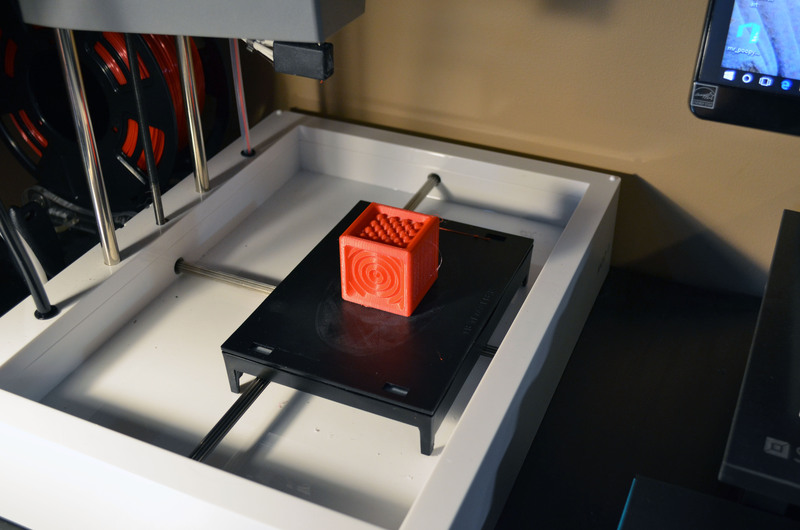 The spool’s vibrant red coloring held true in the final print. 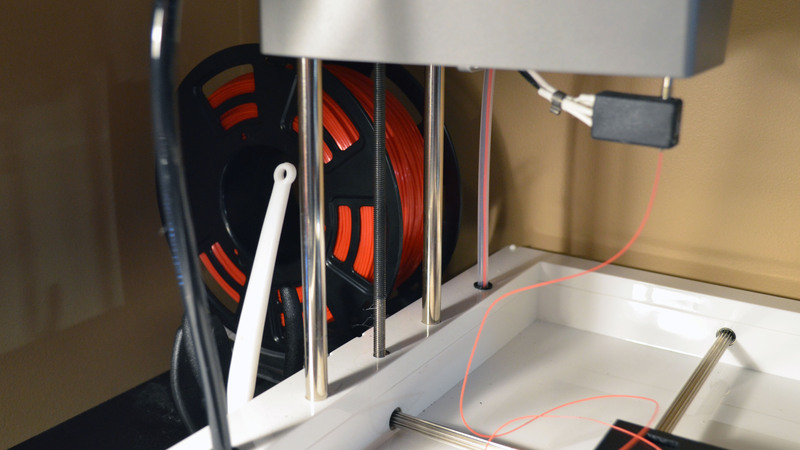 Having had such excellent results with the red PLA from Tactink, I’m curious about some of their other colors, especially the clear. 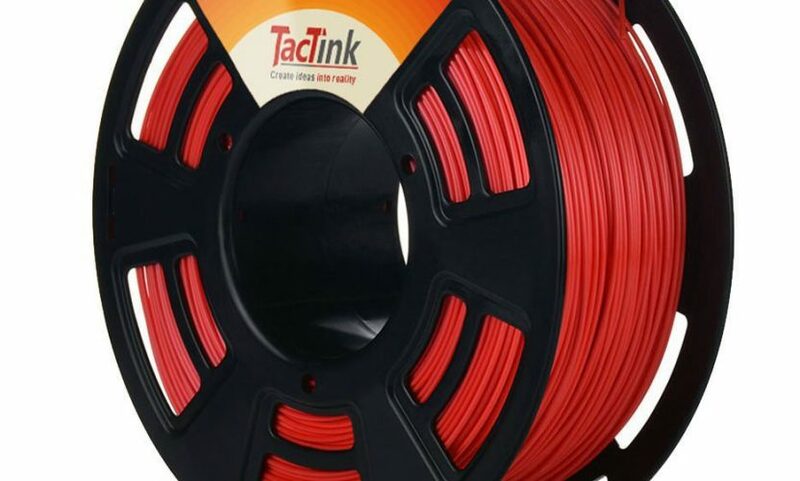 For now, I can say if you’re looking for a true red PLA that delivers quality results, Tactink has a great solution. 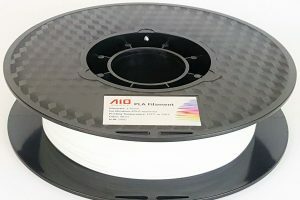 Accurate dimensions, excellent coloring, strong structure, and reasonable pricing for a large roll of PLA filament add up to an excellent purchase. 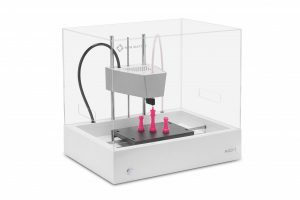 Thanks to Tactink for the discounted review unit.